During April, we have been looking at research opportunities on military conflicts throughout history using ProQuest databases. 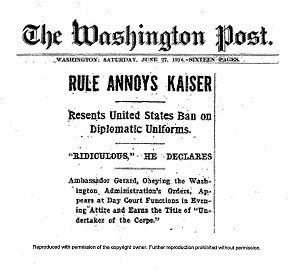 To date, we have covered the Crimean War, World War I, and World War II. This week, we look at the Vietnam War but from a different angle. Instead of focusing on the military side of the Vietnam War, we wanted to investigate the anti-Vietnam War movement in the United States. Searching in ProQuest History Vault on “anti-Vietnam” or “peace movements AND Vietnam” or “Vietnam AND Martin Luther King” leads to results from a wide variety of collections, including collections in the module on American Politics and Society from Kennedy to Watergate, and Black Freedom Struggle in the 20th Century collections. In American Politics and Society from Kennedy to Watergate, the collection Johnson Administration's Response to Anti-Vietnam War Activities offers 322 results. 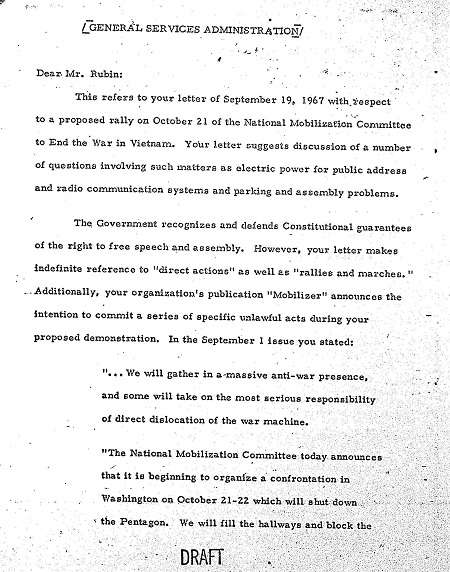 The documents from this search focus on the preparations and response by the U.S. Department of Justice and other federal agencies to anti-war demonstrations, especially the October 21, 1967 demonstration at the Pentagon organized by the National Mobilization Committee to End the War in Vietnam. Johnson Administration's Response to Anti-Vietnam War Activities also includes letters and telegrams sent to the White House in the aftermath of the demonstrations at the August 1968 Democratic National Convention in Chicago. At the convention, the two front-runners to be the Democratic Party’s 1968 presidential candidate were Vice President Hubert Humphrey and Eugene McCarthy, who was running as the anti-war candidate. Johnson had decided not to run in 1968 largely because of the divisions in the country caused by the ongoing war in Vietnam and the anti-Vietnam War movement. Denied permits to demonstrate, crowds of anti-war demonstrators still gathered outside the convention hall. As the Chicago police attempted to disperse the crowd, the violent confrontation that ensued was nationally televised. In response to the violence, many Americans sent letters and telegrams to the White House demanding that Johnson condemn and end the violence. These letters are included in the Johnson Administration's Response to Anti-Vietnam War Activities. Another collection in American Politics and Society from Kennedy to Watergate offers documentation on the anti-Vietnam War movement is the President’s Commission on Campus Unrest (PCCU). President Richard M. Nixon established the commission in June 1970 following the student killings at Kent State University and Jackson State College during protests against the invasion of Cambodia. 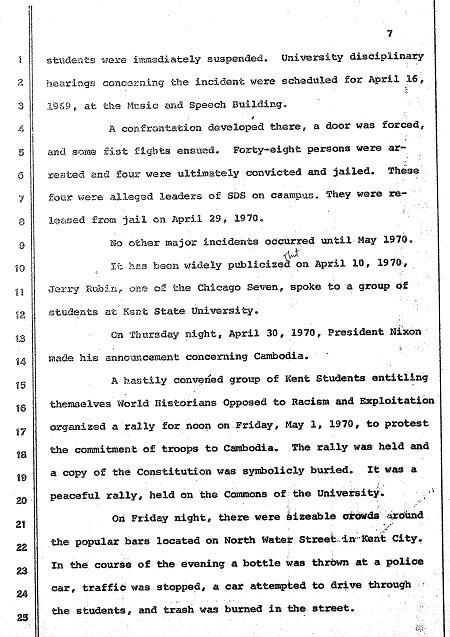 The commission focused its investigation on events during the spring and summer of 1970, though it gathered materials on unrest and activism from 1965. The PCCU files reflect the conflicting views of the nation during the politically charged summer of 1970. A primary objective of the commission was to identify the causes of unrest, and in testimony and position papers many answers emerged. Senator Edward M. Kennedy testified that the protests could not be separated from the Vietnam War. Earth Day founder Denis Hays agreed but also implicated the destruction of the environment. Others drew a distinction between the actions of white activists and African American students demanding equality. Conservative observers differed as well, as San Francisco State College president S. I. Hayakawa suggested students were merely bored and proposed developing alternatives to college enrollment. The PCCU formed in response to Kent State and Jackson State, but violence on other campuses continued to erupt, filling the PCCU files with detailed reports and adding locations and witnesses to the regional hearings. At the University of California, Santa Barbara, police shot and killed a student who was extinguishing a fire set during a demonstration, though his death was ruled accidental. In response to the Kent State tragedy, students at the University of New Mexico, Albuquerque, attempted to lower flags to half-mast, only to be met by members of the National Guard armed with bayonets. Students and members of the press described to the commission the gruesome stabbings that followed. Events like these shaped the commission’s discussions on the anti-Vietnam War movement, historically black colleges and universities, undercover police, campus defense research, and freedom of expression. For Martin Luther King Jr. and his Southern Christian Leadership Conference (SCLC), the war in Vietnam presented a dilemma. On the one hand, King and SCLC, with their focus on nonviolence, felt a need to speak out against a war that was killing both Americans and Vietnamese; however, SCLC and other civil rights organizations knew that President Johnson’s support was crucial if they hoped to achieve additional legislative victories in the field of civil rights. Ultimately, King and SCLC decided to speak out against the war in Vietnam. King and SCLC’s position on the Vietnam War, including discussions with colleagues and several speeches and statements by King are included in the Black Freedom Struggle in the 20th Century collections: Martin Luther King Jr. FBI File and Records of the Southern Christian Leadership Conference. Beyond History Vault, several other ProQuest databases offer documentation on the anti-Vietnam War movement. ProQuest Historical Newspapers™ includes coverage of major anti-war demonstrations. Congressional hearings on the anti-Vietnam War movement, Congressional Record entries, and Congressional Committee Prints can be found in ProQuest Congressional. An interview with Julian Bond includes a discussion of the Student Nonviolent Coordinating Committee’s position on the Vietnam War is available in the HistoryMakers. And, ProQuest GenderWatch and Ethnic NewsWatch resources contain feminist and minority group perspectives from independent presses and grass-roots publications, published from 1960 to current. For the complete picture, see World Conflicts. Librarians, be sure to sign up for free trials, including ProQuest History Vault Vietnam and American Foreign Policy, 1960–1975, along with the other great resources mentioned here.